It's no secret that Tesla's competition in the electric car market has increased significantly over the past couple years. General Motors, Nissan, and even Toyota have all come up with their own mass-market vehicles to take on Tesla's Model 3. However, there aren't many all-electric vehicle offerings that compete directly with Tesla's high-end luxury cars like the Model S or Model X. That could change soon, though. Porsche just announced their first purely-electric sports car, dubbed the "Taycan," which translates to "lively young horse," according to the company. Regarding under-the-hood performance, Porsche says the Taycan will feature two "permanently excited" synchronous motors that can put out up to 600 horsepower. This will allow the vehicle to reach 100kmh (62mph) in roughly 3.5 seconds, and 200kmh (124mph) in under 12 seconds. 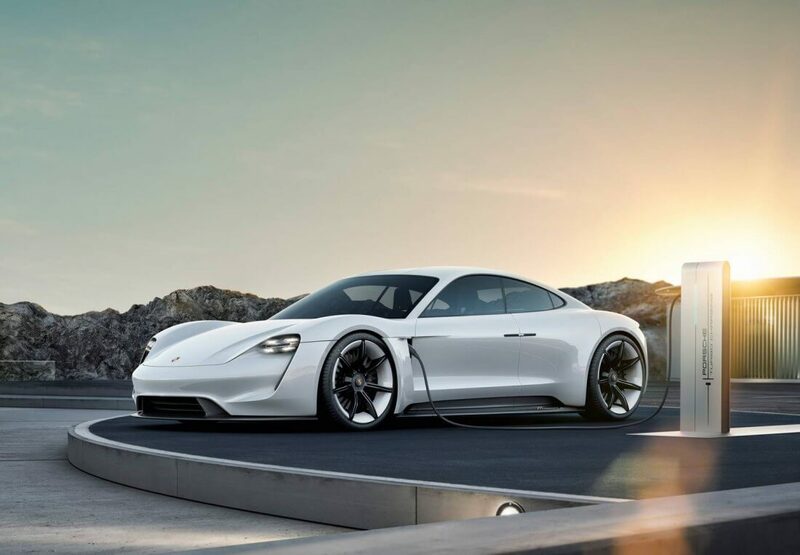 Porsche also claims the Taycan will be able to drive 500km on a single charge, which is about 310 miles - an impressive number for a modern electric vehicle. For the sake of comparison, Tesla's top-end 100D Model S has a range of around 335 miles. The company is fully invested in the electric car market, too, with plans to drop over 6 billion euros into "e-mobility" by 2022. Porsche plans to begin production of the first Taycan vehicles as soon as next year, though it's not clear how much they will cost when they hit the market.